How do I change the status of a to-do item? You can then change the status of a to-do item from the options menu that becomes visible when hovering over the item. Hover your mouse over the to-do item on the right side where last activity is, and the options menu for the item "..." will display. You can then select the new status. 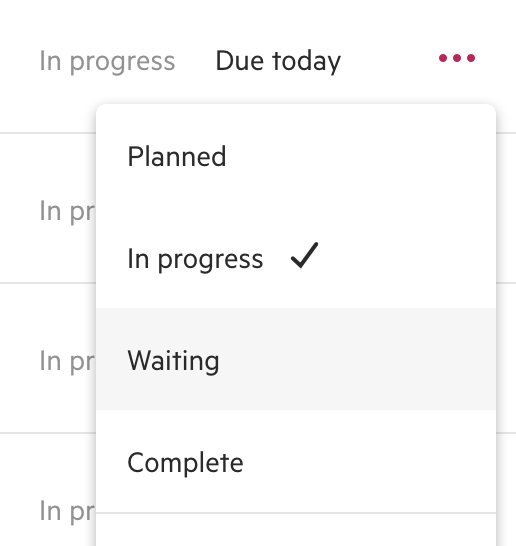 If the to-do item is expanded, click the current status and the dropdown menu will appear.